Looking for the best protein shakes for women that will help tone muscle, burn fat, assist weight loss and boost energy? Here is an expert review of some of the most popular protein shakes for women in Australia in 2019. Whey protein can help to support weight loss, improve strength, tone muscle and control hunger. A 23-week clinical trial studied the use of whey protein in 90 overweight people and discovered that adding 56 grams of whey protein a day in their diet resulted in body weight and fat mass loss of 2.3kg compared to participants who had the same amount of soy protein or carbohydrates (study 1). However, since whey protein is derived from milk, it is not suitable for women who suffer from lactose intolerance, sensitive allergies to dairy or vegans. For our expert analysis the results of this protein for women review uncovered how these popular protein shakes for women stacked up against each other and which womens protein powder has the best nutritional profile to support weight loss, improve muscle strength and tone muscle faster. Their are a lot of protein powders aimed at women on the market but our top 7 best protein shakes for women review looked at overall nutritional info, formula, type and specification of active ingredients and price of each of the women’s protein powders. The ultimate goal of this protein powder review is to help women in Australia make a well informed decision on the best protein shakes for women. 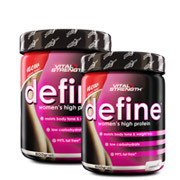 Is Vitalstrength define women’s high protein the best protein shake for women? Pros: Ticks all the boxes- high protein, low carb and low fat formula with added fibre and fat-burners including l-carnitine and chromium picolinate. Contains multiple protein sources including whey protein isolates. Cons: A blended protein powder for women that includes soy protein so if you are looking for a pure whey protein (and are willing to pay more) this product is not for you. Verdict: This popular protein shake for women contains one of the highest protein levels in its class. Packed with essential nutrients to assist weight loss, tone muscle and burn fat. 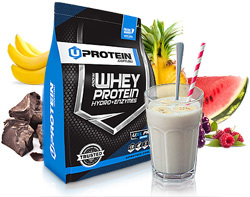 Is Uprotein Womens protein the best protein shake for women? Pros: An outstanding formula containing the highest protein levels at 82%, made from only whey protein and none from soy. Low carb, gluten free ingredients and no artificial colours or flavours. The addition of digestive enzymes will also help those sensitive to bloating. They also stock a natural unflavoured option too. Cons: The formula does not contain any fat burning active ingredients and you can only buy at www.uprotein.com.au, so if you like going for the in-store shopping experience then look elsewhere. Verdict: Considering the quality and price, this is an extremely affordable protein shake for women ideal for shaping your body, with its high protein and low carb formula. With several flavour options this is a wise choice if you’re looking for results and value, however the smallest size is 2kg. Expert Tip: Email newsletter deals can give you further discounts. 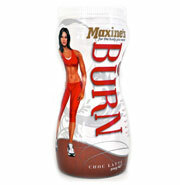 Is Maxine’s Burn the best protein shake for women? Pros: A high protein, low carb women’s protein powder with active ingredients green coffee extract, L-carnitine, Green Tea extract and Choline. Uses natural sweetener and is soy free, which is important to some women. Added vitamins and minerals also make it suitable as a meal replacement. Cons: The 25mg of green tea extract per serve is much less than the clinically proven amounts that actually increase metabolism. At least 10 times that amount would be needed to see results. Verdict: A good high-protein, low-fat shake for women that contains an array of vitamins and minerals, though more expensive than some on the market. The great weight-loss results promoted by the company are likely just a result of substituting numerous meals per day with a shake, which is not sustainable. 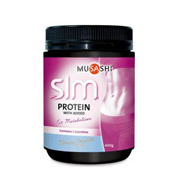 Is Musashi SLM toning protein the best protein shake for women? Pros: A low carbohydrate blend of whey protein concentrate and whey protein isolate with added calcium and fibre to support a healthy body. Cons: Low protein compared to other best protein shakes for women which may limit weight loss and toning. No added fat burners and only contains one added mineral compared to other women’s protein powders that contain multiple vitamins and minerals. Verdict: The higher fibre has come at the expense of protein which we believe is the key nutrient for weight loss and toning muscle. There are better protein shakes for women available than this one. 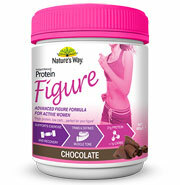 Is Natures Way Figure Protein the best protein shake for women? Pros: High protein, low fat and low carb protein powder with added fibre and some added vitamins and minerals. Cons: Contains 100% soy protein meaning no whey protein for toning muscles assisting weight loss. While soy protein is a good non-dairy based protein powder we believe it is best used in combination with the high BV of whey protein powder for toning results. No added fat burners to accelerate toning and weight loss results. Verdict: Nutritional content is okay but many women who understand what is required to shape their body are looking for a protein powder that contains whey protein, not just soy. Is Ashy Bines Toned Protein the best protein shake for women? Pros: A fairly new protein powder for women that is often packaged as part of a bikini body challenge program. Contains whey protein concentrate and hydrolysed whey protein concentrate and the natural sweetener stevia. Cons: Simple whey protein concentrate formula with slightly higher carbs and fat than the best protein shakes for women with no added fat burners, vitamins or minerals. Verdict: Basic womens protein powder formula that lacks punch (and key ingredients) and appears to be expensive compared to other best protein shakes for women. While some women may like the idea of following a program, there are better value protein shakes for women on the market. Is Fitmiss Delight Protein the best protein shake for women? Pros: A fun USA brand of protein powder for women that contains some good ingredients for health including “antioxidant” type fruit and veggie ingredients. 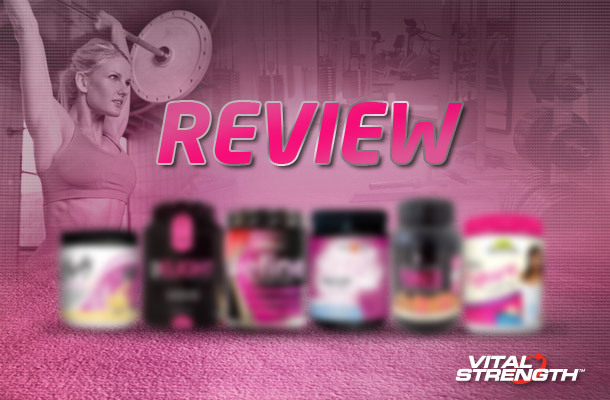 Cons: Low protein and higher carbs than other women’s protein shakes reviewed. Also appears to be one of the most expensive women’s protein powders in most stores. Verdict: Expensive given the 67% protein content. A smart consumer will find a better value women’s high protein shake. So now you have all the facts to help you choose the best protein powder for women in 2019, but buying and using a whey supplement is only half the challenge. Adequate resistance training and regular exercise combined with diet and whey supplements can lead to greater muscle strength and improved mass muscle (study 2). We understand women have different goals, priorities and budgets when looking for a protein shake but we hope this protein powder review will help you make an informed choice next time you are in store. *The following best protein shakes for women review 2019 has been compiled from information on pack and retailer/manufacturer websites. No responsibility is taken for errors, omissions, changes or inaccuracies. Looking for the best protein shakes for women to assist weight loss and muscle tone? An expert review of the best protein powder for women in 2018 Australia.